Discussion in 'Cascade Bay' started by Faile Bashere, Nov 9, 2018. There was something absolutely terrifying about the world ending. That was logical, it made sense, but Pandora had been stable for years before this point. There had always been an aspect of that back home. The end of times, fighting the Dark One, the Final Battle. All of it seemed so terrifying but it had also been at a decent distance because there were things left to do between the present and that battle. Faile had still had time to try and navigate the waters of life, do her best to keep Perrin alive, and that was all she had concentrated on at the time. Because that was all that was needed. Thankfully the two of them had been together when Pandora had decided it was done with everything. When the earthquakes had rolled in and everything had turned on its head. They had worked together to keep safe and try to get somewhere safer, managing to stay alive until the very end. Then everything had dropped away and there was nothing but white as far as Faile could see. Not even Perrin, who had been standing beside her at the time, and Faile had felt fear in a way she had never felt before in that moment. In the next breath she was awake. She had been lying on the ground in an unfamiliar garden and she could smell the sea from where she lay. There was a cool breeze and the dark haired woman sat up to look around. There was still dirt on her divided riding skirts and pale blue blouse. She still had a cut on her hand from where she had stumbled into rubble towards the end. Not a major injury but a reminder that what she had seen was not some sort of dream. Then fear struck her again because the smith was not beside her. Faile pulled herself up to her feet and looked around, spotting the back porch of a large house in front of her. She moved to it and attempted to open the back door. It was unlocked and swung open easily, leading into a kitchen that made her pause. Forged kitchen knives on a block, soothing colors that Faile preferred, small details around the room. If she hadn't known better she would have said that she had organized and decorated the place. Echos of her own apartment were easily seen and despite the fact that Faile felt off kilter with the situation she made sure to note the details with a quick glance around the room. "Perrin?" Faile chanced calling out to him because really that was all that mattered in the moment. If she had been next to the smith when everything had been pulled out from under them. She moved deeper into the house and was startled by all the details around. Everything was... well, everything that Faile would pick. Things that looked inviting and comforting to her, with other touches that seemed slightly out of place to her but after living with Perrin for several months she had come to know that those were things the smith would like. The hallway closet held plenty of jackets in their sizes and then she started up the stairs, looking panicked even as she checked over her normal hiding places for her knives. What was going on? What had happened? "Perrin?!" She called out for him again but there was less restrain in her voice this time around. She needed to find him and find him quickly. When Perrin’s eyes snapped open, it was to find himself standing in the middle of what looked like a smithy. But it wasn’t his smithy. It was... smaller, more personal. Taking it all in, though... it looked like it could very well be his smithy. He was standing next to an old-looking anvil that showed recent signs of use, a small forge with dimly-lit coals in its depths behind him. Next to him on a workbench were tools that looked like he’d forged them himself, either neatly put away or scattered about. Even some sketches for designs, with things labeled in his handwriting. A chill crawled down Perrin’s spine, his stomach lurching. He took several hurried steps backwards, stepping out into what seemed to be a garden. A cool breeze swept past him, smelling like the sea. Seagulls squawked above him, riding the breeze further away. In the distance, Perrin could even see the sea, its surface sparkling pleasantly in the sun’s light. What in Light’s name was going on? The last thing Perrin remembered, the world had been falling apart. He and Faile had — oh Light, Faile. Where was Faile? His throat constricted, his hands balling into fists. Before he knew it, Perrin was running forwards. Into the house the familiar-yet-unfamiliar smithy was connected to, because it made the most sense to look there first. Because he couldn’t think where else to look, couldn’t — didn’t — understand how he’d suddenly gone from that stark white void to this. “Faile?” Inside, his surroundings were even more familiar, though he didn’t recognize anything. Even more confusing, he could smell his scent everywhere. He could smell Faile’s scent too, smell that it was fresh. “Faile!” he called out, no more than a beat after her voice called out to him. Suddenly, he realized her hair wasn’t dark anymore. “What happened to your hair?” he blurted, touching a few strands. For some reason, it was blond now. It didn't take long for the smith to respond. Faile turned the second she heard his voice, tracking where it was coming from and moving in that general direction so she could find him. Her steps might have picked up a pace in the process and she certainly felt as if she needed to be where he was right this second. Put her eyes on him and make sure that he was alright. Nothing else would do and soon enough the two of them had come face to face. A sigh escaped her at the sight of him climbing the stairs towards her and the smith gathered her in his arms in the next instant. Exactly what she needed. Her arms tried to hold him back, her heart was still hammering in her chest, and everything felt better in that instant. Even if everything else was crazy in the world as long as they were together they could get things figured out. Or at least, that was how Faile felt. Together they were stronger and... she didn't want to go through the things they had already gone through again. If Pandora had played some sort of cruel trick on them, then she wanted to be with him in order to keep him safe as possible. Which was always her mission in life since she had set her sights on the smith. He was asking her what had happened and Faile didn't have an answers. "I don't even know, Perrin." The world had vanished for her as well. White as far as the eye could see in such a startling manner. Faile had been unnerved by it though she was a little more physically reserved than Perrin was. He emoted far more than she did because he was from a different culture than hers, at least in these situations. Being calm and gathered was best when reacting to a possible threat and this situation was certainly a possible threat. Her hands stayed firmly on Perrin's shirt, holding him carefully to her. She didn't want to let go any time soon. What happened to your hair? Perrin had pulled back slightly to look at her and Faile blinked back at him, unaware of what he was talking about. One hand left his shirt to pull at her hair, bringing the strands into view in the next split second. Her eyes might have widened and Faile certainly was startled by the color of the strands. Her hair was blonde and that was alarming more than this house was! "I..." She trailed off for a second, looking alarmed as her dark eyes glanced around the house in an attempt to figure out what had happened. Fear might have hit her next because someone would have gotten far too personally close for Faile to be comfortable with. Her hands tightened on Perrin's shirt as she fought through her thoughts on what had happened. But she had no answers. She had no idea. She didn't even know where they were. "We have to figure out what's going on. Search the house, look outside, figure it out." Faile listed those things off but she still stood there without moving because she was at a loss for once in her life. Of course Faile didn’t know what happened. They’d been together until the very end, seen and experienced the same things. It was foolish of him to even ask, but his anxiety over coming round to and not finding her by his side had briefly overtaken every other rational thought. At least she smelled as nervous as he did, even if she didn’t show it. Until she saw her blond hair for herself, a sharp spike of anxiety filling his nose as her hands fisted against his shirt. How was her hair suddenly a different color? It made no sense, not when they hadn't left each other's side. Even though they'd woken up separated, they couldn't have been apart for more than a small handful of minutes. No one could dye hair in such a short amount of time, not even if they had magic at their disposal. Perrin was pretty sure about that. Pretty sure. Even though just thinking about someone doing this to Faile while she was unconscious filled him with dread. “The house smells like us,” he said, hesitant. His hands curled around her a little tighter. “It feels familiar in an unfamiliar way, too.” He didn't know how else to explain it, but didn't try to when he realized Faile wasn't moving, even though she'd been the one to suggest they search the place. It was as if she were rooted to the spot, her hands still gripping his shirt. As if she didn't want to let go, didn't want to think about what any of his meant. Her scent was trembling in his nose. “Come on,” he said, voice gentle but firm. He pulled back, one of his hands gripping hers tightly. “We’ll search the place together, all right? There's no reason for us to split up now.” Not that he wanted to, but he figured the reminder would put Faile at ease, even a little. He decided it'd be best if they explored upstairs first. Made their way downstairs next, then ventured outside. Comb the place from top to bottom, before either of them voiced their thoughts or reached any conclusions. So he led her up the rest of the stairs to the topmost floor, still gripping her hand tightly in his. Pushing open every door he came across, examining each room's contents. Everything else was borderline unsettling but the fact that someone had dyed her hair? That meant getting up close and personal to Faile. Faile could handle a great number of things but actually having someone that close to her for that length of time made the formerly dark haired woman borderline panic. Which was why she wasn't moving from the spot. It wasn't like she could take the matter into her own hands. Everything was already done. Her hair was already blonde. And it sounded like they were the only ones in the house. Perrin reassured her that they would search the house together and Faile nodded. That would be easier, but she still would feel safer with a knife in hand so she let one slip into her fingers after they had pulled apart. Making sure to keep a firm grip on the handle despite the fact that she wanted to twirl it. A nervous habit of hers, but she needed to keep on guard. Just in case. Up the stairs they went and they searched the rooms there first. The study, the wardrobe, the guest room. Everything was in colors that Faile would have chosen, neutral but it pleasing colors. All the clothing was in the exact measurements both of them would need. Again, that was something that didn't make her feel any better. It made her wary. Because all of this was exactly as Faile would have chosen. But the final room upstairs was one that could not be looked over quickly. The master bedroom of the house was different from the other rooms, but that was because more care and detail had gone into it. The colors, the paintings, everything was perfectly matched while not being exact. She moved to the side of the bed that she would normally sleep on and opened the drawers of the nightstand on that side while Perrin looked at a picture on the other. There were various items, things that would be useful, and a blade hidden in the drawer exactly where Faile thought it would be. Tucked away in a hidden spot but easy to grab in an emergency. Like someone breaking into the room. Perrin would react first and then she would be there as back up. Perrin seemed to be staring at the photograph and her eyebrows knitted together. "What is it, Perrin?" It couldn't be good, whatever it was. Perrin swallowed, suddenly reluctant to touch the photograph, as if touching it would somehow make all this real. A part of him wished this was just a dream, that they’d somehow been taken to the wolf dream after the world itself had fallen apart around them. Or that maybe the world hadn’t fallen apart at all, that they were just curled together in bed and he was dreaming everything up. Maybe he really was in the wolf dream and just imagining all this. But even in the wolf dream there wasn’t so much detail, or so much stability. With the frantic pace of his thoughts, surely everything would have already warped and shifted around him in response to them? But Faile was asking after him, so he steeled himself and picked up the photo. It was them, all right. They didn’t look any different than usual — Faile’s hair was dark in the photo — but their clothes were closer to the sort of clothing they’d wear back home, and the way they were looking at each other seemed a little too intimate for a photo. “It’s a photo of us,” he said, turning towards her though he was still staring at it. “Your hair’s still dark in it, but it looks like we’re—” He fell silent abruptly, suddenly noticing rings on their hands. 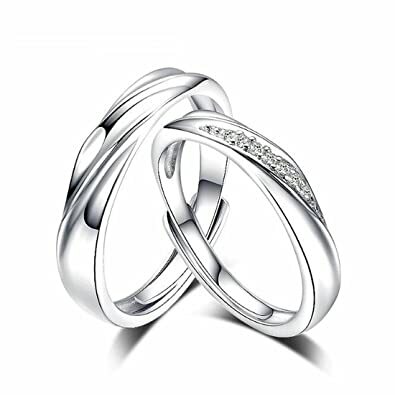 Silver rings, with delicate curves and swivels. He was almost afraid to look at his own hand, but his eyes flickered down to it and — and sure enough, there was a silver ring on his ring finger. A silver ring he hadn’t noticed until then. When he tore his gaze away to stare at Faile’s hand, he saw that she too was wearing a ring. “It looks like we’re, uh...” he tried again, clutching the photo between his hands. But he couldn’t form the words, couldn’t understand just what exactly he was seeing. Was it what he thought it was, or something else? Perrin flipped the photo around so she could see it properly and held up his left hand. Silver ring as plain as day to see, even though he didn’t have the faintest idea how it’d gotten on his hand. It's a photo of us. She looked at the photo when he turned it to her and suddenly he was moving his hand as well. Faile hadn't noticed the ring on her finger. She had been so worked up over what was going on that she had not stopped to figure out what other details were different on her body. The clothing, her hair, every last detail had been over looked because everything had still felt right. Like it was supposed to be on her person. All her knives were in place, everything felt like it was supposed to, but when she saw that flash of metal on Perrin's hand she quickly looked down at her own. Two matching rings. Similar to the sort that Egwene Sedai and Cauthon had traded on the day of their wedding back in June. There was a thread of alarm through her followed swiftly by anger. They looked happy in the photo. Faile stepped closer to the smith, invading his personal space as if it were her own, and lifted a hand to hold the other side of the photo. As if she needed to touch it to confirm what was going on. That it was real. Of course it was, they looked like themselves and they were smiling. Everything about it looked like it could have been an engagement or a wedding photo. "If Pandora has taken away my wedding day I will burn this forsaken place down." It was a growl and there was heat in Faile's voice but it was an empty threat. There was little she could do about it if Pandora had suddenly decided to speed them along in their courtship and have them wed. That was supposed to be a day that Faile enjoyed. Planned, invited everyone to, and celebrated with her husband because they were getting married. It would have been a grand thing back home, if her parents had time to get wind of it and react to it, and Faile had been hoping for something tasteful here in Pandora as well. "It could be engagement photos." There was a little bit of hope in her words as she stared at the photo just a little bit more. There were enough clues in the room to suggest something to her but the photo was the kicker. "This is our house." Everything was in order and exactly where Faile would have put it. Everything was... too well placed. The colors and all of it was just too perfect for the sorts of things the formerly dark haired woman to think anything else. So what had happened? She took another breath and looked around. Everything was too good. Almost perfect though there were some things that Faile would still change. "Perrin. Are we... still in Pandora?" She didn't know if that was the case or not. Maybe this was another world. Faile didn't like the sound of that, they had started to figure out life in Pandora Town quite well together, but if they had to be in another world then at least she was with Perrin. Small miracles. Even if something had stolen her wedding day away. Hopefully not though. To be fair it was a beautiful ring, with swirls and curves that suggested elegance without overdoing it. Suitable enough for them both, though Faile’s knife-sharp scent in his nose made him tear his gaze away and glance down at her in concern until she growled out what had riled her up so. Perrin put a hand around her, steadying her. He didn’t think it was a wedding photo, not when they weren’t wearing the appropriate clothing. As far as foreign customs were concerned, that was. Weddings typically involved suits for men and white dresses for women, as opposed to red ribbons and flowers and their Sunday best. He’d never imagined they’d make use of foreign customs, but the rings on their fingers were the living proof. Even so, he’d proposed to her years ago without them making use of rings, so perhaps this was a photo set after a wedding? Which, considering how furious Faile smelled, wouldn’t help matters at all. Strange as it was to be wearing rings and for Faile’s hair to be different, it didn’t seem like there was anything else different about them. He was still wearing the same clothes he’d worn when the world had dissolved around them, soiled with dirt and grime. So was Faile, and yet he couldn’t keep a chill from crawling down his spine. How was it possible for things to be so different and yet not at the same time? What in blood and bloody ashes was happening? “Most likely.” With luck, it was an engagement photo. He couldn’t really judge by a photo alone, but what he was sure of was that, if they had a house to call their own, it would look very much like this. Everything about it felt like the way they would have gone about setting things up, with little things here and there that he suspected were their personal touches. As for whether they were still in Pandora... Perrin hadn’t considered the possibility of this being a different world until Faile brought it up, a chill crawling down his spine. He set the photo down and turned back to her, gripping her hand. “We’re together,” he said, squeezing her reassuringly. “That’s what matters.” Although it would be prudent to discover the answer to that sooner rather than later. They climbed down the stairs. Wherever they were, there was a smell in the air coming from somewhere outside that reminded Perrin of the sea. It certainly didn’t make him think of Pandora Town, but glancing outside the window it didn’t look like Cascade Bay, either. In fact, the more he took in, the more he thought the buildings around them reminded him of... of home. But it couldn’t be, not when they had photos on nightstands and Faile’s hair was dyed such a light color. He’d heard Nynaeve speak of hair-dyeing methods before, years and years and years ago, but as far as he knew the only natural way to do that back home made your hair darker, not lighter. Light, where was Nynaeve? Where were Mat and Egwene? The twins? Perrin stopped in his tracks, worry keeping him from venturing onwards. Worry at finding out this wasn’t Pandora. Or worse, that this was Pandora and none of his friends — his loved ones — were here any longer. “We should—” he started to say, then faltered. Wetting his lips and gripping her hand a little tighter. “We should ask around, see if there’s anyone else here.” In that other house, perhaps? He could see it over the next rise. Faile really didn't know what she was going to do if they were not engagement photos. She would be absolutely livid about it and there would be no one to take that anger out on. No one's fault except for Pandora's. She had liked this world well enough. It had given her time with Perrin that they otherwise would not have, away from war and the end of the world, and they had gotten to know each other much better in the time they spent together. They became a better team and they had learned to trust one another. To rely on one another. Yet here the place was! Possibly stealing her wedding! The formerly dark haired woman took a breath to steady herself. It likely was engagement photos, something they had not done before because it was not important, and somehow it didn't quite make sense that they would have them done so late. Was there a reason? Faile frowned slightly and then looked back up at the smith as he reassured here. We're together. A smile lit on her face at those words. Because Perrin was right. That was what mattered more than anything else. They were together and she would not be parted from him. He wasn't allowed to leave either and he knew that. She had promised to always find him and perhaps if they were in a new world, Pandora had allowed her to keep her promise. Even if their wedding day had been stolen. He had a good plan of action and Faile nodded in response. They needed to discover what was around them. "Before we do that we should check the electronics in the house." Electronics had been a new concept for Faile when she had first come to Pandora. It had been new to everyone from the Westlands and wildly advanced to everything they had known. Faile had been working long enough in the DoI to know that the best information they could find about their situation was likely going to be on laptops or cell phones. Things that they could log into with a password hint (hopefully set by themselves) and then if they had search histories, recently viewed sites, emails... the list went on. A ton of information could be put together with just that. "Let's search for something like that." Before they stepped outside into a world they might not have known. Considering what appliances that Faile had seen in the kitchen it was likely they might be able to find something like that. "Or letters, journals." There could be plenty of things. They needed that first before they started to risk themselves out in this unknown situation. Faile normally wasn't too cautious of a person and had no problem talking to strangers, but with Perrin here... she wanted to keep him safe. She wanted to keep them safe. So better safe than sorry in this situation. It was the better route to take. She squeezed his hand back as a warning that she was pulling away from him before she did. Her dark eyes took over the room again and she tried to think of herself hiding important items in the room. "Check the underside of drawers, table legs, anything that looks like it could pull apart with the right maker." There was a bit of a smile flashed in his direction. Perhaps some of the metal workings that had been decorations could be good places to start. Faile knew that the hidden items were always the best ones to tell you the most details. Hidden things, electronics, letters... putting together this world before they ever stepped outside. She moved to the dresser and pulled out the first drawer, tossing it onto the bed after looking at the underside. Where oh where would she hide things? Plenty of difficult places. It was almost like playing a game with herself and she couldn't help but wonder how long it was going to take her to pull apart the hidden secrets in this house. Right, electronics. That was a good point. Perrin hadn’t thought of that, in spite of already having started to mentally catalog the similarities and differences between Pandora, the Westlands, and here. Wherever here was. Looking for electronics around the house would be the first logical step to finding answers. Because so far, all Perrin knew was that this was their house. Even though neither of them had any memory of it, nor of the rings they wore. Considering their clothing was still the same as before — barring the significant differences in their appearance — he fished around in his pockets for his phone, finally finding it in his back pocket. Only, its screen was dark no matter what buttons he pressed. “My phone’s out of battery,” he announced, shoving it back into his pocket. If there was a charger lying somewhere nearby, he could plug it in and check his latest calls history, his files... whatever might be able to point them in the right direction. Until then, he supposed turning the house over onto its head in search of a letter or two would have to do. Although he couldn’t help but give Faile an incredulous look when she told him to look for hidden compartments in the furniture. “I suppose that’s a common enough part of Saldaean life?” he asked lightly. In the meantime, he looked around the room for sockets. He didn’t find any, but he couldn’t help but notice that the lamps on their nightstands had glass that was lightly stained black, which suggested heavy use. So no electricity, by the looks of it. Which probably meant no electronics. Out of battery? Faile quickly found her phone in her belt pouch and pulled it out. "Mine as well." Apparently that was just their luck. There could have been a bunch of different reasons why though. Standing in that white endless space had been creepy and who knew what that could have done on a battery. Another thing that Faile had picked up on since she had come to Pandora. A good thing, actually, because it made her more clever in modern situations. She knew how to replace batteries, charge different devices, and better yet... which tech guys to hand the devices over to in order to crack the passwords and the like. They wouldn't have that option here but that was hardly going to stop Faile from trying. I suppose that's a common enough part of Saldaean life? Faile glanced over at her fiance with a small smile. Apparently they could still find some humor in this situation. Which was lightening, really, because that was something that Faile could hold onto in what seemed to be an otherwise creepy and overwhelming situation. "Not exactly." The common people of Saldaea never went through this. They had never had the lives that Faile had had. Perrin had asked a question and Faile had given him a truthful answer. This was not normal. This was Faile. She pulled out the second drawer and then the third, making sure all of them were neatly lined up on the bed to be put back later. She then tossed the contents of the drawers just in case and then searched every item before returning to the dresser. She was going to pull apart this entire house until she knew all the secrets they had somehow hidden away in the house. "But it's something I certainly do." She had done it back in their apartment, even if Perrin hadn't picked up on it, but there was far more space in a house. Obvious places weren't going to work here because that just wasn't who Faile was. She was not obvious, basic, or ordinary in any kind of way. Her hands then traced the inner workings of the dresser once the drawers had been removed. Under, around, and all over. Trying to figure out if there was anything out of place but there wasn't. Next was the inside of the pictures, even the engagement one. Pulling apart the frames and carefully looking at the width of the photos. There wasn't anything behind the engagement photo, once again too obvious, but there was a painting that held something. Faile peeled away a false back in the frame and then there was a few documents there. Basics, but still something that Perrin might not fully understand. A few things that would help them if they needed to suddenly run. She smirked slightly before carefully placing the documents on one of the pillows on the bed. She'd move it somewhere else later, a different spot. "We really were here." She breathed out the comment before moving on to the next picture in the room. "Under the mattress, in the closet, check the ceiling for any loose panels." She knew exactly where anyone could hide things and she was determined to tear the house apart. Even if they wound up having to put it all back together in the end because it really was their house. Perrin huffed out a small laugh, shaking his head. But it was a fond laugh, and he couldn’t help but give her another small smile even after she’d returned to the task at hand. There was always something new about Faile that would throw him off guard, but... never surprise him. Not anymore, at least. Faile was a woman who liked her secrets, and he was comfortable in the fact that he’d never learn them all. After all, you didn’t have to know everything about another person to trust them. He trusted that she’d tell him whatever was important, and that was that. Even though having secret compartments hidden around the house was perhaps going a touch too far. But what was done was done, and if Faile thought that it was important they found them all, then they’d do just that. It was better than standing around and letting worry gnaw away at them, though when Faile did locate a set of documents that made her more confident in accepting this house was their home, Perrin let some of the tension in his shoulders bleed away. He resumed his hunt, checking over every nook and cranny he could find. He started with the bed, raising the mattress and inspecting the wooden boards, the headboard, anywhere he could think of. He didn’t find anything that resembled documents, but he did find a couple of knives and gave Faile a fond if rather exasperated look at their discovery. Next was the closet, though the closet in here was much smaller than the one they’d found in one of the other rooms. Still, it held more everyday clothing than the other had, and looked like it saw more use on a whole. But there was nothing in any of the storage boxes or on the inside of the doors that suggested there might be a hidden compartment. Perrin even resorted to rapping on the walls and doors with his knuckles, just to see if he’d catch anything that sounded hollow or out of the ordinary. He was surprised when he did hear something different, peering at a shelf. “Faile, over here,” he called, fingernails digging into a small groove tucked beneath it. He pried the slab of wood away carefully, revealing what looked like a small pouch. “It feels heavy,” he said, passing it over to her. More like it might hold golds and silvers rather than bills and credit cards. Perrin went about checking where she had told him to check and Faile went about dismantling everything else in the room. Pulling things apart in the manner that her mind might have hidden things away. Really there was so much she could have done in this space and Faile knew it was only a matter of time before she discovered most of it. Most of it, because she knew only someone who really knew the house would get into all the possible cubby holes that were hidden around the place. If it was their home, and if they wound up staying here, she'd discover everything sooner or later. The young woman stopped when the smith called her over. There had been a little bit of a smirk at the knives and that was only to be expected. They had been living together for awhile. This was hardly the first time that Perrin had found knives where he didn't think they should be but she had to admit that she was amused they were there as well. Almost like a familiar brush that made comfortable and slightly uncomfortable all at the same time. Would she feel better or worse with the more of these that they found? Faile didn't have an answer for that. Instead she moved over to where the smith was, moving past him in the closet so she could see what he was holding. There had been a false bottom the shelf as well and wasn't that cleverly made? Perrin held the pouch out to her and she quickly dumped the contents into one of her hands. There was a bit of a clink as metal struck metal. In her palm was gold that had been melted into easy to use discs marked with their weight. Simple things but things that would be easy to be traded if they needed to be on the run at any point or were strapped for cash. Good things to have. Things Faile had been planning on setting aside as well. It was the smart thing to do. She lifted an eyebrow and then looked up at him. "This is better off where it was." She then put the money back into the pouch and then handed it back to Perrin so he could put it back in place. Then she moved towards the hall and back into the study. They moved together through the house, room by room, taking several hours to dig through everything. By the time they had gone through all the major rooms night had fallen. But they had managed to cobble together a decent amount of information all the same. "So.... we're still in Pandora. Cascade Bay. This is our house." Faile was perched at the end of their bed and she had a few things spread out on the mattress beside her. A much larger and better bed than the one she had had in her apartment, that much was clear. "Year is... one hundred and eight." There was a journal in Faile's tight, neat hand writing. A heavy hand with firm pen strokes, which was her writing, and Faile was damn well convinced that they had been kicked over to whatever version of Pandora this was. "Your smithy is in Cascade Bay and has always been there. I am.... someone in the merchant's guild, and we are engaged to be wed though the date hasn't been set yet." Which seemed about on point and the engagement had been as long as theirs had been so that lined up. And Pandora hadn't stolen her wedding day, so she eased just a little bit. Still she didn't know what any of this meant. Her eyes drifted back up to Perrin before she nodded down at the papers. "I'm... not sure what happened. It's almost as if we had... entirely different lives in Pandora." What else was she supposed to say? What else could she say? They still had to go out and see what was out there, but there was more than enough information just sitting there for them to find. That and a very messy house. Perrin was sitting next to her on the edge of the bed, still staring down at some of the documents they’d uncovered. Their dates went back as far as, what, four years? Five? And yet, their years were alarmingly wrong. One document read Year 104, another Year 106. It was hard to accept that, while they were very obviously still in Pandora, time had somehow shifted a hundred years into the future. What was worse, while their lives were different, they were similar enough that Perrin could easily imagine them in such positions. Him as a blacksmith, Faile as a... merchant? Well, her talk of trading had often suggested she would make a good merchant. Living in Cascade Bay instead of Pandora Town was another surprise, but the least of his concerns just then. “According to this map, Misty Hollow still exists too,” he said, pointing at it. “But it’s in Centria, and we’re in the Crystal Vales. And there’s no Pandora Town anymore, but Pandopolis City seems to have taken its place. And then there are the Dread Wastes...” He shook his head, laying back on the bed with a small plop. A part of Perrin couldn’t help but think they’d spent longer than necessary searching the house top to bottom. He’d understood the need for them to be as thorough as possible, but now it was after dark and they hadn’t explored anything outside the house to make sure that the map they’d found was even real. Light, that any of this was real. He felt terribly exposed and restless despite his exhaustion, with too many scenarios swirling around in his head. When Rand had used that Portal Stone, years and years ago, they’d all witnessed other lives they could have led. It’d been more like glimpses and snatches here and there than actually living through them, but some impressions had lingered in the back of Perrin’s mind. This felt kind of like that, only more real. It was certainly more real than the wolf dream, and he’d tried to will something into existence when Faile hadn’t been looking, just to make sure this wasn’t the wolf dream. “There was something that happened back home that reminds me of what’s happening now,” he said, turning his face towards her. He reached out to touch her back, rubbing small circles there, and told her about the Portal Stone. He kept the explanation brief, sparing her the more uncomfortable details. “Maybe there were always other versions of Pandora out there, but until our version fell apart...” Revealing that impossibly white void, that void that’d just felt wrong, wrong, wrong. Something drastic had happened in Pandora. Faile didn't quite know how she felt about that but there always seemed to be something dramatic happening. More often to Perrin than Faile herself, or the people around them, but that was alright. She'd go through anything with her smith. This... this almost seemed like the entire world had been spun around on its head. Which was an entirely different level of dramatic for the place and something that might have affected everyone instead of just a few. The implication behind that was just a little too massive to wrap her mind around. So what exactly was different? Perrin had already picked up on the fact that there were a number of locations from the past on the new map. Things that could be picked out if one took the time to do so. The fact that there was this massive map to begin with was crazy. There was a much larger world around them, if it was to be believed, and that was something rather too much to cope with. Doubly when it stated there was a city on the moon. Faile had always ignored anything about space. She had never been interested for obvious reasons and she refused to even think about what that might mean for people who might have gone through something similar to wake up on the moon instead of on the ground. She shuddered to think of that happening to them. She looked up when the smith explained that he had something similar happened to him back home. Her brows drew together slightly as Perrin reached out to her but one hand lifted to touch his arm lightly. Faile had always found comfort in the little touches that he was always so free with. It was something about Perrin that she cherished and it was easier to calm with his hand against her back. Her thumb swept a careful path against his arm as she listened to his story. There were many crazy things that could happen back home as well. Perhaps that was why the events of Pandora had less shock against her than the technology. Most of the things people could do in Pandora was very little when compared against someone like the Dragon Reborn or things from previous Ages. "That might fit what happened." Was there any way to confirm any of this? Faile couldn't think of it off the top of her head. "It might be best to try and contact those we knew from before." She knew a number of names that would be at the top of that list. Two Aes Sedai, two young children, and one Warder. All important people to her smith and people that he would need to know about, otherwise it would eat him up from inside. Perrin cared about his friends deeply and he'd go out of his way to try and find them. It was better if Faile helped him so he wouldn't go running off head first into an unknown world. He would need the help if this other Pandora was so vast compared to the one they had been in. Other people could have meant anyone but Faile knew where his mind would go. This was better. "That seems like a sound plan." The interesting thing was the fact that they had a number of resources in this world. The house, the money, the funds that she was certain were in a bank for them. Apparently whatever jobs they had in this version of Pandora paid better than the ones they had had before. Even if Perrin still had his smithy. This Cascade Bay seemed to have more demand for his abilities. "There's food downstairs. I think it'd be alright to consider it safe." Perrin's nose would be able to warn them if anything was too odd about it and they had to eat. Eat, sleep, and then venture forth the next day. Perrin didn’t want to admit how worried he was over his friends. Over Mat, Egwene, Nynaeve, and the twins. Throwing himself into taking the house apart had kept those thoughts at bay, but now they’d resurfaced with a vengeance. Tired as he was, he wasn’t sure he’d be able to sleep until he found out what’d happened to them, but his phone was out of battery and Faile’s had no signal. What was more, this house was more like the kind of houses one would find back home, without all the modern conveniences they’d grown accustomed to over the last few years. They had to light candles and lamps to see by after nightfall, the bathroom had a tub and a pump you had to manually operate as a makeshift shower, and there were no electrical devices to be found. Even the kitchen was like the kitchens back home, with a pantry complete with salted meats to better preserve them and a small stove you had to light a fire under to warm up. Familiar, and yet unfamiliar. For the likes of Pandora, at least. But they ate a simple dinner of bread, cheese and fruits, Perrin’s nose not catching anything amiss. Then they prepared for bed, settling in the large bed that appeared to be theirs, in what appeared to be their room. Sleeping together in the same bed was no longer unusual for them, but as Perrin put his arms around Faile and pressed his face against her shoulder, he realized that this was their bed. That, somehow, this was their home. He decided he’d worry about the hows and whys of that tomorrow. After waking up, getting cleaned up, and eating another simple breakfast of bread, cheese and fruits again, they ventured outside the house to explore the surrounding area. Wherever they were, this Cascade Bay looked nothing like the Cascade Bay he’d come to know over the years. Their house was a lavish one, resting on what appeared to be the tallest point in the city. Spread out around them was the rest of the city, sprawling down to the ocean and what appeared to be several small islands connected to each other by bridges. He’d had to describe the sight to Faile, his sharper eyesight picking out the details better than she could. Behind their house was wilderness, a wood somewhere in the distance. Unconsciously, Perrin reached out with his mind to see if he could sense any wolves in the immediate area, but he didn’t pick up on anything. They were probably too far away, wanting to avoid populated areas. But exploring the woods was something he decided he’d do once things had settled. Faile did not sleep as well as she could have. Her mind kept moving long after Perrin had fallen fast asleep behind her. One of the smith's arms wrapped around her and he had held her close for comfort. To give and to take. Which was what she needed to fall asleep at all but her mind had raced around in all the different things this could be. All the different ways that this might have played at. Wondering if it would be like the other odd events in the land that seemed to vanish after a few months. Lining up with the seasons. Places that would crop up and everyone knew they were temporary. Everyone treated it like that until something had been there for longer than three months. Everything seemed to follow a chaotic pattern, even if there were no rules within those time periods. It always followed the same path of roughly three months. This change was far more drastic than the previous ones had been. That gave her pause and made her wonder what had really happened, but she wasn't entirely sure if she could believe it would stay either. What if everything started changing every three months? That would be utter chaos! But what had ever made any sense in this world? That slightly annoyed thought had been the last before she had drifted off to sleep. Not having answers made Faile cranky even when she was otherwise happy. Her dreams were just as chaotic but she soon forgot them on waking up. Breakfast was the same meal as the night before and then they were setting out of their house. Out into what was supposed to be Cascade Bay. Gone was the odd sea side city that was a combination of touristy things and people who seemed oddly stubborn for not sharing anything more than a city location together. It had been decent to visit but Faile would have never been able to live anywhere but Pandora Town. Now Cascade Bay was... grand in comparison to what it had been. Large as Pandora Town, perhaps larger, and certainly full of more people. Their house was also obviously in a rich part of of the city. One eyebrow lifted as she looked at her fiance as he decided it was time to meet the neighbors. That was something they had never done in Pandora Town. Her apartment had been serviceable but they had never gone about meeting the neighbors. That was another aspect that Faile had found interesting in the city. Everyone sort of minded their own business. Still it was the best idea they had at the moment so Faile could only agree. "Yes. Which side first?" They were not at the start of the lane nor the end. They had neighbors on both sides. Perrin was leading the way so he could pick which direction they went. They were going together, not separating, and no other suggestion would be acceptable. Perrin scanned the other houses. Some bore a striking resemblance to their own, whereas others had meticulously-groomed gardens or personal touches that set them apart, like theirs. It seemed to be the only one with a garage that’d been converted into a smithy. They weren’t going to get any answers just standing there. So they headed towards the last few houses on their street first, ringing doorbells and greeting their neighbors. The first house had a family of five, two parents and three children. By the way the couple addressed them, it sounded like they knew Perrin and Faile well enough to offer their congratulations on their recent engagement and make smalltalk. But after some prodding, it was clear they had absolutely no idea what they meant when referring to the Not-Breaking. It was much the same thing at the second house. Only, at the third house — the one with the fancy front lawn that first caught Perrin’s attention — they encountered a butler with a gravelly voice who politely but firmly turned them away on account of the house’s residents not being around. Perrin picked the direction to go and Faile followed him. In this instance it was fine to let him take the lead. In reality, she would have preferred to make the choices. That was just who she was. But they swept along and it was simple enough to speak to everyone as they went along. Faile did a lot of the talking but she was adept at asking questions in different ways to get different answers, even if they were similarly spoken. No one had any idea what they were talking about no matter how Faile phrased the question. Everyone acted like they had been there for years and there were things they knew about their lives to make comments on things. Unsettling but considering what was going on it made a good amount of sense. If they had been living here for years then they would know their neighbors. Perrin, because he was a friendly man. Faile, because she would need to keep an eye on everything around them. It didn't answer any real questions they had. If anything Faile felt like she had more questions than answers. Which meant she was slightly irritated in general when they had gotten back to their house. "There isn't anything I can make out of that beyond Pandora playing games again." Which was more than a little bit of irritation. They happened to be standing in the kitchen at that stage and everything was still tossed in every direction. With a little bit of a growl the newly minted blonde started to move to put things back in order. If this was their house, then this was their house, and it would be in order. Drawers back in place, items back in the drawers, and the like. Faile had to check once or twice where she thought something might have gone before correcting herself but that was alright. Almost everything was exactly where she would have placed it herself. Again something that comforted her as much as it made her uncomfortable. Such an odd feeling. "Town. We'll have to go into town tomorrow and see what there is to see." From there? Faile wouldn't know. Perhaps it would be time to figure out what her job really was. She wouldn't act like that didn't make her even more uncomfortable because then she would be at a job she didn't know how to do. Potentially. Light! This was all a mess. Perrin growled under his breath, but he supposed there was no point in getting angry. Pandora would always play games with them, that much was a given. Getting angry over something he had no control over was pointless, but it did little to soothe his frustration. Faile smelled much the same, but at least she’d decided to channel her frustration into tidying up. So Perrin helped, until the kitchen — and the rest of the house — was as it was before they’d taken it apart. “All right,” he said, though he would have preferred them going into town sooner rather than later. Then again, it’d be better if they dealt with the situation with clearer heads. If they went into town now, Perrin didn’t really know what he’d say or do. So they prepared something for dinner, then discussed ways of handling possible scenarios that might crop up while in town. Being subtle to avoid giving away how little they knew about how things had changed, but firm in the answers they sought. Perrin would have preferred a more direct approach, but he’d been in Pandora long enough to know that asking after a catastrophic event no one seemed to remember would do more harm than good. His questions back at the houses they’d visited earlier that day had been bad enough, not that he particularly cared just then and there if he’d ruffled their feathers. The rest of the evening passed in such talk before they retired for the night, but Perrin found it as difficult to fall asleep as the previous night. Still, he eventually managed. Running over their plan again during breakfast, they eventually set off for the town proper, traveling from one flat-topped cliff to the next. It was strange, trying to think of this place as Cascade Bay when it barely resembled the town Perrin had once become so well-acquainted with. Flat-topped cliffs were connected to each other by bridges, and some cliffs were lower than others. They eventually reached a more densely-populated area of town that resembled something of a commercial district, with a myriad of shops, stores and market stalls. There were more people here too, making the town feel more lived-in than the residential area their own house was located in felt. Perrin glanced towards Faile, raising his eyebrows. The man seemed chatty enough — and familiar enough with them both — that it didn’t seem like a bad idea to linger and see what else they could learn.